Denim isn't going anywhere, this Spring, it's all about the cropped skinnies. I am trying this trend with the 7FAM Cropped High Waist Jeans. 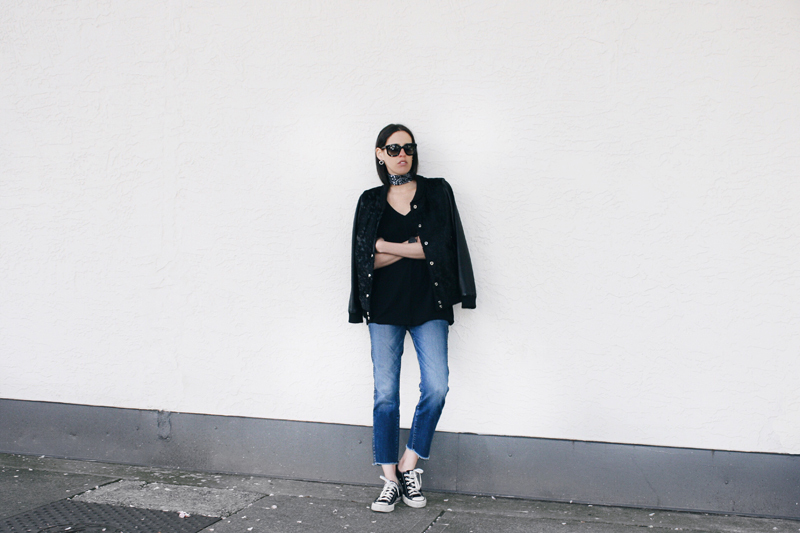 What to look for: straight-leg jeans in a medium or dark wash with a cropped hem. 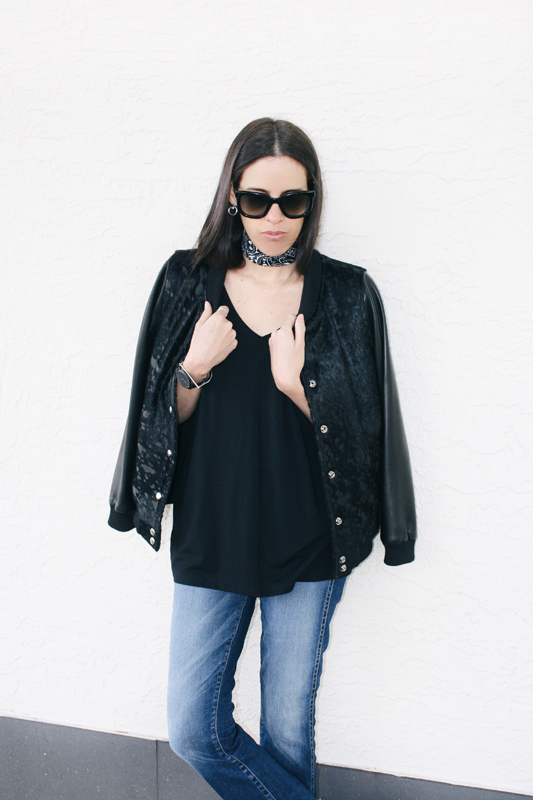 They look great with a simple T-shirt (here wearing with our Melissa Araujo V-Neck from our BASICS collection) layered with a leather jacket; but once the weather warms up, try them with a crop or tank top. For shoes, pair them with sneakers or sandals. These are ideal options for Spring and Summer, but come Fall you can pair them with ankle booties. As with any new trend, it's important to style your outfit to flatter your silhouette. This casual jeans looks great with tailored pieces as well, like blazers and button-down shirts that balance it out. What I am wearing here could easily be paired with high heels or mules for a dressed up look. Lovely outfit! Really like your accessories this time! Beautiful elegant look! So cool! 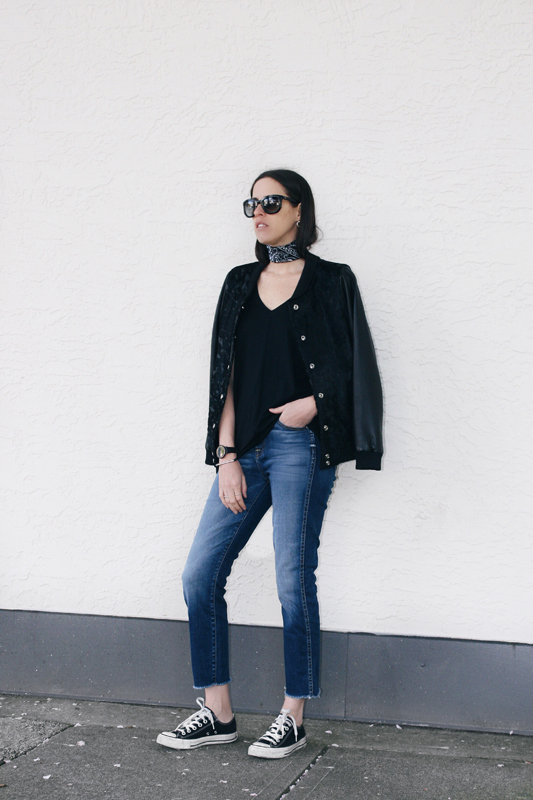 Love the jeans and the bomber! Cool look and this jean so perfect. In this days , you can Watch movie online for free without ads and payment needed.